March 11, 2016: ORC Racewear for Sale! Our Runners have arrived and are ready to run their best race. It's looking like they rain should stay away and the weather should be fine. So how do you track your favorite runner. Race Time - First races start at 9:02am with the elite runners starting at 9:32am and non-elites starting at 10:02am. How to watch - NBC Sports Network will be airing the race live. Track our runners - Boston.com has 3 different ways to track the runners. The easiest way is to go to this BAA site, scroll down and select tracking, then enter the names of the runners you want to track. From all of us in Orlando to all our runners racing tomorrow we wish you your best race! Have fun and a great race. The IOA Corp 5K is this Thursday and we're 95% full on volunteers, but that means we still need volunteers so come get a free beer and help the club pay for the awesome things it brings you. The IOA 5k is one of the major fundraisers we hold each year. The money the club earns by volunteers like you help us send members to Urayasu as part of our cultural exchange as well as provide scholarships for graduating high school seniors in Central Florida. To Volunteer: Email elisabeth.c.sosa@gmail.com and include your email, phone number, and T-shirt size. Where: West Robinson St, just past Bumby Ave. Parking is available behind the Orlando Housing Authority Building 390 N. Bumby Ave (across Bumby from TG Lee). Registration for the ORC Race into Summer 5K is open. This annual race is sponsored by Mellow Mushroom and held at Jay Blanchard Park located at: 2451 N Dean Rd. 1 mile north of E. State Rd 50. Registration fee is $25, but a limited number of discounted fees are available for the first registrants. Participants will receive a tech shirt, refreshments, and free entry to the Post-race party at 9:30 am at Mellow Mushroom, located at 11680 E. Colonial Drive. Pizza, beer and soft drinks provided. Awards will be presented to the top 3 male and female overall finishers and the top 3 male and female in 9 age groups. The final race of the season is coming April 27th. 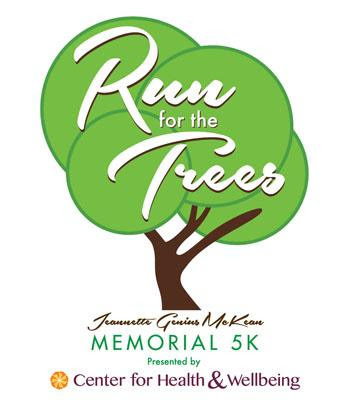 Run for the Trees 5k run/walk is a unique point to point event. The last mile is on the tree-canopied, wilderness dirt road of Genius Drive. This privately owned glimpse of old Florida is opened to the public only once a year, for this event. All finishers receive a young tree! Event capacity is set at 1,800. Race to Win Challenge Series standings are here. 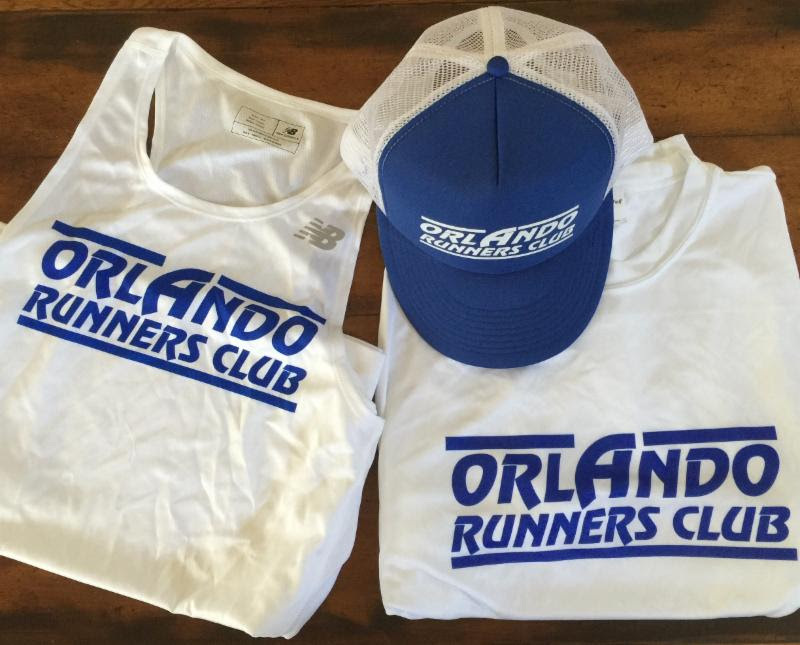 Orlando Runners Club logo gear can be yours for $10 per item. We have t-shirts, singlets, and trucker caps for sale. If interested, please contact Bob to place your order. Join the Orlando Runners Club every Monday for the Mellow Monday Fun Run at Mellow Mushroom. This is a fun run with a 3 mile or 5 mile course. Meet at 7:00 p.m. at the Winter Park Mellow Mushroom (2015 Aloma Avenue). Then following the run, you can reward yourself with 20% off pies and happy hour drink prices! We welcome runners of all paces. And we run rain or shine. If you have any questions, please contact Amy Ertel. Come join the ORC at our weekly Wednesday morning Get out of Bed Group Fun Run on Wednesday, in the College Park area. We will be meeting at 6:00 am at Einsteins Bagels, 2817 Edgewater Drive, Orlando, 32804. This is the perfect opportunity for those of you who are unable to attend the evening runs. We will run a 3 mile loop in College Park starting East on King St, right on Elizabeth, right on Rugby, right on Edgewater, left on Rugby, right on Holly, left on Bryn Mawr, right on Ardsley Dr, right on Maury Rd, right on Edgewater Dr, and finish at King St and Edgewater (back at Einsteins). After the run, join us at Einsteins for some morning coffee and bagels. We welcome runners of all paces. Contact Victor for directions or questions. Join us at the Track Shack for the mid-week run! This social group run occurs weekly Wednesday at 6:30 pm. It will be 2-3 miles and open to runners of all ability levels. The mid-week run is also a great opportunity to learn about, and hopefully join, the Orlando Runners Club. The course starts on Oregon St. and then spills into the Orlando Urban Trail, as well as parts of Track Shack's Celebration of Running course. Water and Gatorade will be available for everyone pre and post run. Stay tuned to Facebook and www.TrackShack.com in case of inclement weather. This Thursday is the third Thursday, however instead of running we're volunteering. But the good news is beer is still involved and we get to raise money for the amazing things ORC puts on. Right now we're 95% full on volunteers, but that means we still need volunteers. So come hand out water and get a free beer. IOA 5k is one of the major fundraisers we hold each year. The money the club earns by volunteers like you help us send members to Urayasu as part of our cultural exchange as well as provide scholarships for graduating high school seniors in Central Florida. How to join: Email elisabeth.c.sosa@gmail.com and include your email, phone number, and T-shirt size. Get your long run in with Jack and the rest of the Sunday crew. This social group run occurs weekly Sunday morning at 7:00 am. There are distances of 3, 6, 7 or 10 miles and open to runners and walkers of all ability levels. This run will take you through the streets of winter park passing by many of the beautiful lakes and homes. After the run join the crew for breakfast, conversation, bad jokes and maybe even some trivia at Panera just up the street..
Join the Orlando Runners Club monthly every first Tuesday for Brewsday Tuesday at Roque Pub. This is a fun run with a 3 mile run followed by great beer and awesome food. 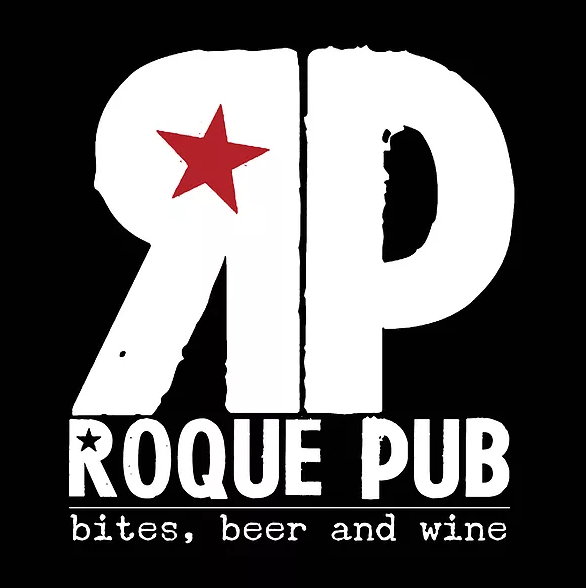 Meet at 7:00 p.m. at Roque Pub (3076 Curry Ford Road). We welcome runners of all paces. And we run rain or shine! Registration for the ORC Race Into Rummer 5K is open. 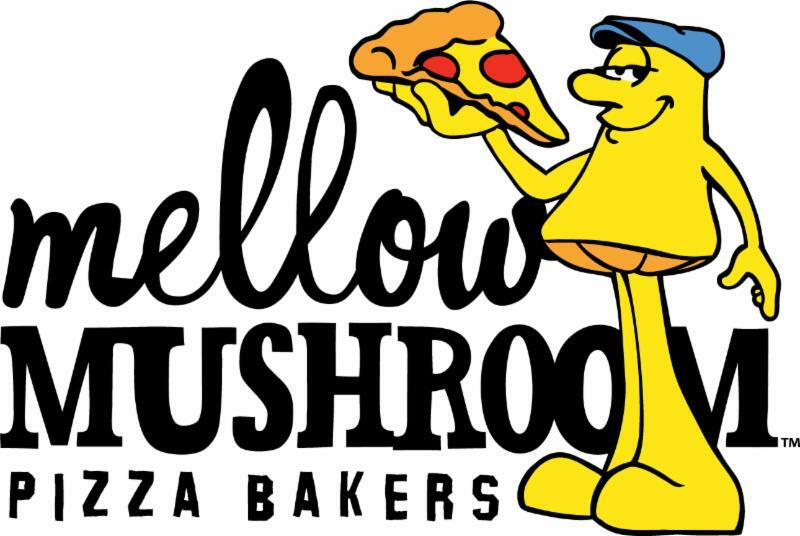 This annual race is sponsored by Mellow Mushroom and held at Jay Blanchard Park located at: 2451 N. Dean Rd. 1 mile north of E. State Rd. 50. Registration fee is $25, but limited number of discounted fees are available for the first registrants. Participants will receive a tech shirt, refreshments, and free entry to the Post-race party at 9:30 am at Mellow Mushroom, located at 11680 E. Colonial Drive. Pizza, beer and soft drinks provided. Awards will be presented to the top 3 male and female overall finishers and the top 3 male and female in 9 age groups. The Charles M. Rowson, Jr. Memorial Scholarship was established in 1983 by the Orlando Runners Club in memory of one of our members, Chuck Rowson, who died unexpectedly at age 29. The ORC has provided scholarships each year since to local high school athletes, now providing a $1,500 scholarship to up to four students. The winners are selected by the Club based on their academic achievements, athletic abilities, school and community involvement and financial need. Scholarships are presented each year at a Club event. Applicants must be graduating high school seniors in Orange, Osceola, or Seminole, counties who have competed in cross country, track, or both. A completed scholarship application and letters of recommendation must be received by the ORC by April 10, 2018. 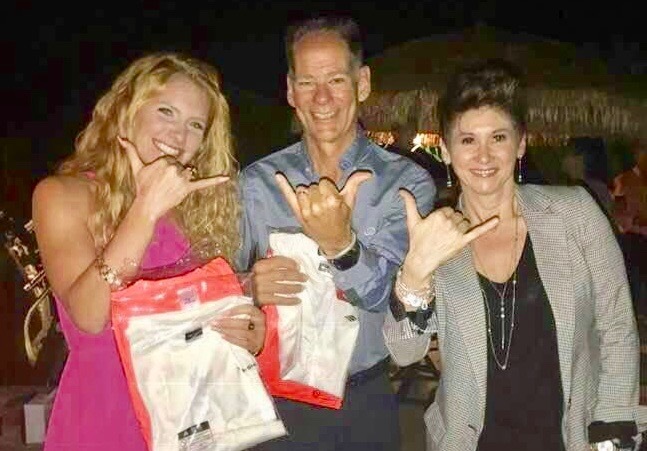 The Rowson scholarship program is funded in part by the volunteer efforts of our club members and their families at the annual IOA Corporate 5K event in Orlando. The ORC respectfully requests that all scholarship recipients and/or their families volunteer with the ORC at this event following their award. The ORC always welcomes new members, and invites all runners regardless of pace or running experience. If you did not receive a renewal or have any questions, please contact membership@orlandorunnersclub.org. Existing member? Click here to renew your membership online. Each year the ORC sponsors 3 to 4 runners for a trip of a lifetime. Hosted by our sister running club in Urayasu for a week they meet with the Mayor, visit local landmarks, drink some saki and even sing some Karaoke. All members in good standing and who have not previously been selected are eligible. Applications are made available towards the end of the year and selections are announced at the Annual Holiday Banquet. 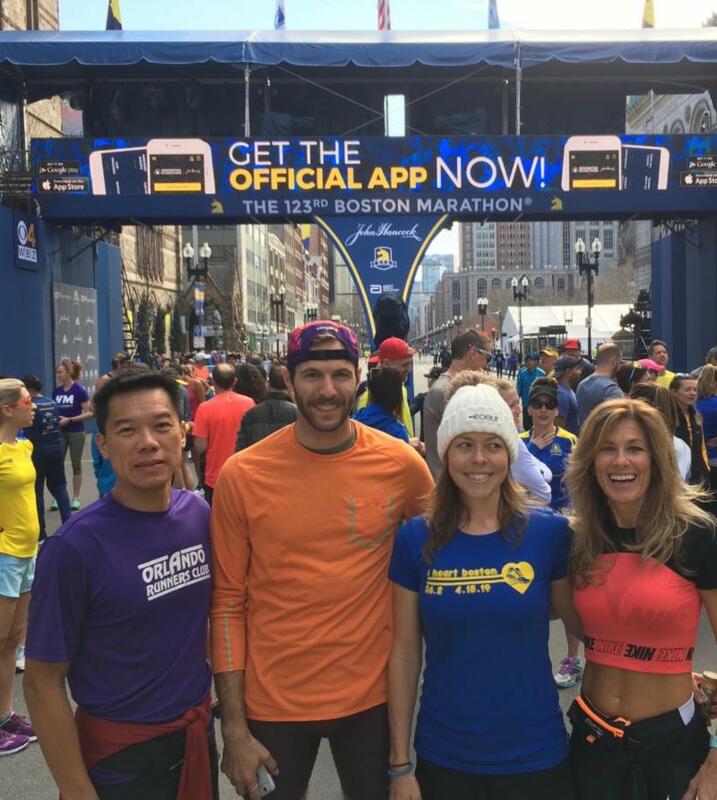 Congratulations to Erica Weitz, Tom Matusch and Charlene LePane for being selected as the ORC representatives going to Japan to run the Tokyo Bay Urayasu City Half Marathon.